Are you stuck for dinner ideas? 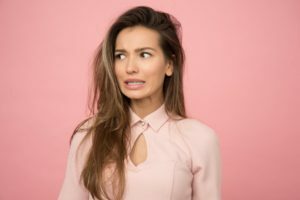 Many clients face frustrations when asking what their spouse/partner/kids want for dinner, only to be greeted by the all-too-familiar, unknowing stare. We get it; dinner decisions can be overwhelming. 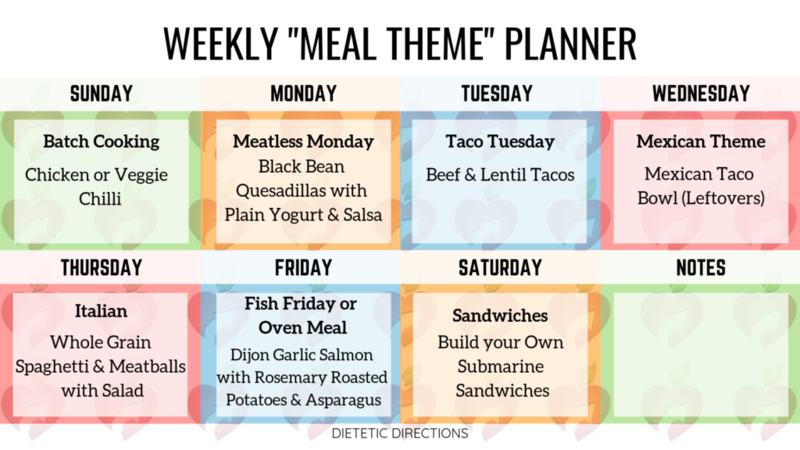 However, meal themes can help, especially when tired and faced with infinite recipes on Pinterest, Instagram, Facebook and blogs. A meal theme is a tool to spark culinary inspiration and brainstorm ideas of what to cook. 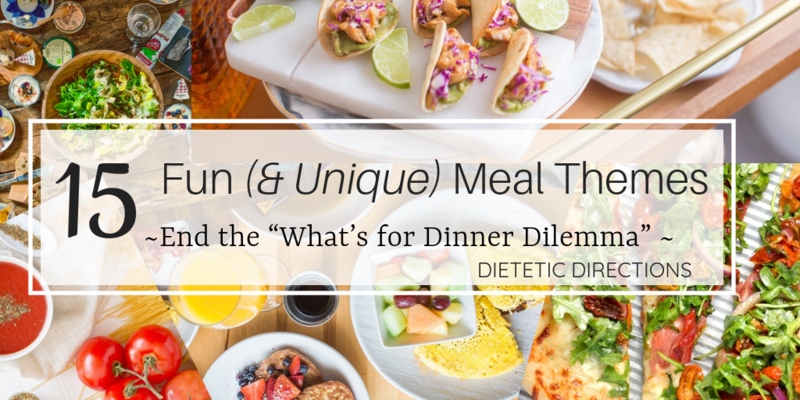 Picking a meal theme narrows possible dinner ideas and inspires creativity within each category (such as Indian, Taco Tuesday, Italian, etc.). Help focus possibilities of what to cook (for example taco night). Allow family involvement in decision making. Add opportunity to explore new foods and familiar favourites. Lower pressure to come up with unique dinner ideas. 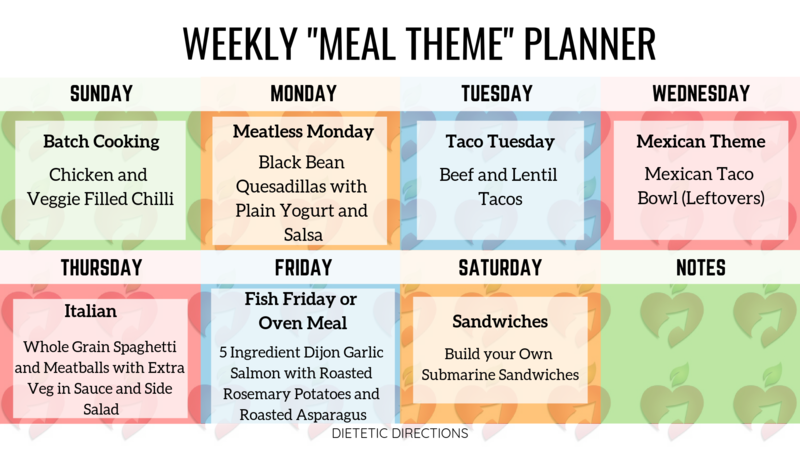 Designate days of the week (i.e., Meatless Monday, Easy-Meal Friday) allows structure to not have to plan theme daily or weekly. This might be my absolute favourite! It’s always fun and super versatile because a lot of Mexican cooking uses the same ingredients in different ways – cheese, salsa, lettuce, chicken/beef/beans, tortilla. Ask your family what they would like – you can see examples of dishes in this category below. Family members can be encouraged to search online, or you can give A or B options to reduce decisions. Meal Themes: Chicken/Black bean fajitas, quesadilla, tacos, taco/fajita bowl, enchiladas, Mexican rice with spicy chicken, nachos, guacamole with anything! Not surprisingly, this is trendy on social media, especially in light of rising food costs and environmental awareness. With Meatless Mondays, people have fun cooking meals with vegetarian protein alternatives like tofu, lentils and chickpeas instead of meat. Also, many enjoy including fish or eggs for Meatless Monday to add more protein options. 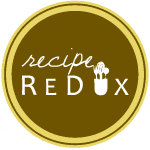 Meal Themes: Vegetarian Chili, Black Bean Burritos/Quesadillas, Grilled Cheese, Tofu Stir-fry, Lemon Ginger Red Lentil Soup, Greek Quinoa Salad, Buddha Bowls, Shrimp Risotto. Give yourself permission to simplify with sandwiches. Their infinite possibilities are low hassle, and just as importantly, give you flexibility to use different types of protein and vary the bread (wraps, naan, pita, whole grain crackers, etc). Note: I recommend keeping a variety of whole grain wraps, English muffins and high-fibre bread in the freezer. You can also use cool ingredients like sauces, different veggie toppings, variety of cheeses, flavour boosters like spices/herbs and citrus (lemons or limes). Meal Themes: 2-minute Tuna salad on a wrap with grated cheese, tomatoes and lettuce. Salmon salad sandwich or fresh roll, meatball sandwich, turkey sandwich, grilled cheese, tuna melt, cold cut submarine sandwich, or Chicken Caesar in pita. Enjoy a fish-themed day! You have so many options to include – anything from salmon to sushi to shrimp. Dive deep into the ocean for this one. Meal Themes: Maple Glazed Salmon, 5-Ingredient Dijon Garlic Salmon, Pan fried sole almondine, shrimp pasta/risotto/stir-fry/soup. Tuna melt, Salmon fresh rolls, fish tacos, Maple Dijon Garlic salmon, Thyme panko sole. Now this is similar to your Mexican theme except exclusive to tacos. Keep in mind that any category can inspire a separate theme. For tacos, I love making them on Tuesdays because it’s simply fun. Plus, I look forward to the variety! For example, swap out the protein choice, try a spicy mayo and use little corn tortillas or wheat tortillas. Include veggies, or you could do a homemade guacamole and pico de gallo or salsa. Meal Themes: Fish tacos, Ground Beef tacos, Spicy chicken tacos, shrimp taco, Black bean and/or refried bean tacos. Who doesn’t love pizza? So why not prioritize a pizza night? This will always beat going out for take-out in terms of the taste, cost and of course the healthfulness. Use naan breads for a quick dough option, have new ingredients like veggies or olives, chicken, different types of cheese or perhaps a balsamic glaze to add interest. Meal Themes: Speedy Naan Pizzas, Chickpea flour mini pizzas, Pineapple, Black Olive & Spicy Salami Pizza, English muffin pizza, or store-bought pizza you add fresh or frozen veggies to. Last year, I did a blog on How to Build Summer Salads. This was a fun topic because it encouraged people to think outside the green salad box and bump up the nutrition with carbs and protein to make a filling MEAL! Be sure to also add ingredients that add interest – like seeds, fruit, meat, beans, herbs, etc. Meal Themes: Cobb salad, Tuna Salad, Chicken Cesar with pita wedges, Buddha bowls, Mexican quinoa salad, Greek Lentil Salad or chickpea potato salad. 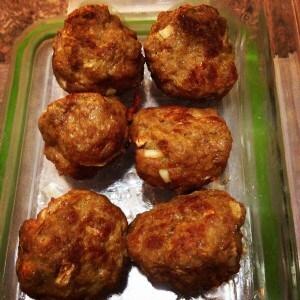 Do you have easy meal options in your freezer? Batch cooking allows you to make meal extras for planned leftovers. Consequently, freezer meals save time when you are too busy to cook a fresh meal. I often heat up a freezer meal for a quick lunch/dinner when low on time or energy. To set yourself up for freezer meal success, plan a night to batch cook. For instance, I love having tomato sauce and meatballs and a one-pot meal likechili. These all freeze well for leftovers. Meal Themes: Chili, lasagna, stuffed shells, grandma’s meatballs. 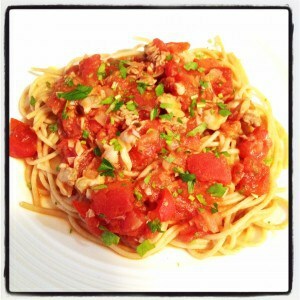 I am a fan of homemade frozen tomato sauce. NOTE: If you are unaware of what’s lurking in your freezer, do my Freezer Inventory, it’s a simple system that works and leaves you feeling very organized. Absolutely love eggs because they are super convenient, economical and fast to prepare. Plan to use eggs for your meal protein. There are 6 grams of protein in an egg and read here if you are unsure if you should skip the yolk. Click here to hard boil an egg to perfection. Click hereif you are looking for filling breakfast ideas. Meal Themes: Lentil and Kale shakshouka, fried egg sandwich, avocado toast, omelette, Grandma’s quiche. Hard boiled eggs to perfection with toast, chickpea salad with eggs. Of course, this one is fun and always a crowd-pleaser. Gnocchi or penne or spaghetti or macaroni….the possibilities are endless. There are 350 different pasta shapes. There are also infinite different sauces. You can add a protein to the sauce like my Spicy Sausage Penne. Meal Themes: Gnocchi, spicy sausage penne, pasta bake, risotto, veal sandwich, pizza, pesto bow tie pasta with green peas and chicken. Eggplant parmesan, spaghetti and meatballs. 11. Make it SOOO Easy! A client and I made up this meal theme category, and we both loved it! Talk about lowering the intimidation factor. The theme for this night of the week is to cook something that is super easy and of course delicious. Meal Themes: Grilled cheese, fried egg sandwich with side salad or veggies. Perogies with plain Greek yogurt, peanut butter and jam sandwich or toast. Roasted Chickpeas.Other easy options include: cereal for dinner, baked beans, naan and hummus, chicken finger wraps, chacuterie dinner with crackers, cheese, veggies, fruit. Many love stir-fries because they offer flexibility to use up veggies on hand. I am a big curry fan and used to find them intimidating. However, store-bought green and red curry pastes can simply be added to coconut milk to get a great curry. I also recommend you stock your pantry with whole grain options like rice, quinoa or bulgur – this way, you can always choose an option that suits you. Meal Themes: Chinese Fried rice with edamame, Green curry, Pad Thai, Cashew Chicken, etc. I absolutely love a good burger! It has so much flavour and flexibility to add your preferred toppings and sauces. You can also top it with a scrumptious salad to bump up your veggies. Additionally, you can pre-make your burger patties and freeze them or buy them pre-made. Finally, you can add flexibility by the type of burger (see examples below). Meal Themes: Chicken burger, beef burger, veggie burger. Add some new toppings – go with it! Have fun. It’s going to be healthier alternative than eating out. Let’s all get some nostalgia going here! What do you remember as a childhood favourite? Let this inspire your meal. Food naturally brings back emotions, so why not choose something to bring the warm and fuzzies. Meal Themes: I am thinking Grandma’s meatloaf is on the list or my mom’s Penne a la vodka. Or childhood Sloppy Joes! Balance your meal as mentioned in the new Canada’s Food Guide. Mac and Cheese, Rosemary Roasted potatoes or Spicy chicken could also fall in this category; whatever makes you feel excited. To end our list of meal themes, we have soup! This popular comfort food is also a meal option that freezes well. Make a double soup batch and thaw it for those busy nights to add to your meal. The possibilities are endless and versatile to use up leftover veggies in fridge or freezer. Meal Themes: French onion soup, Red lentil soup, Indian curry soup with red lentils and Mom’s Minestrone soup. Ramen bowls or Pho are also fun and allow versatility to use up veggies on hand. 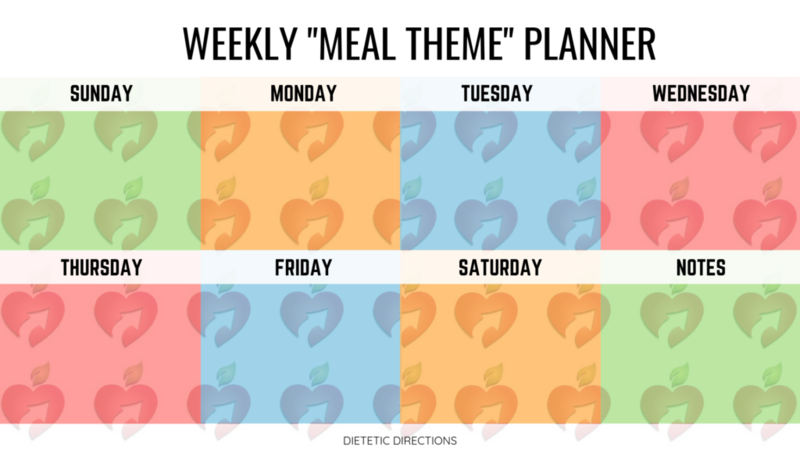 As a bonus for our lovely readers, we have a clickable planner where you can choose your meal themes and specify what you’d love to make. You can see a blank one to fill out below, followed by an example of mine. Click on Image to Print it! Deciding what’s for dinner does not have to be a dilemma. 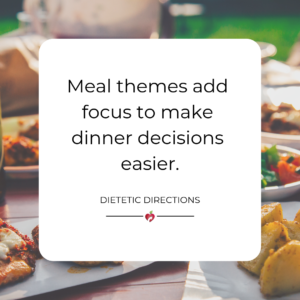 Hope my 15 Favourite Meal Themes blog reduces dinner decision fatigue and helps you come up with new and familiar ideas. Remember that cooking at home is a powerful strategy to improve overall nutrition, boost veggie intake and increase dietary fibre. Cooking, as opposed to eating out, also generally reduces calorie, salt and saturated fat intake. Lastly, start where you are today and make meals as simple as necessary so they are feasible in your schedule. Now’s your turn! What are your favourite meal themes? How do they inspire your cooking? Any new themes you’re wanting to try! I am really wanting to try a Greek theme!